Savvy Spending: Shopko: $5 off a $5 purchase, in stores and online! Shopko: $5 off a $5 purchase, in stores and online! 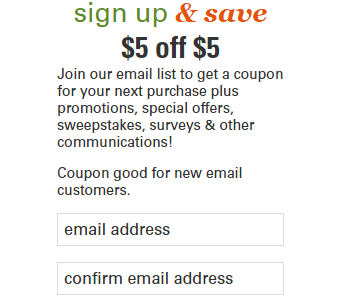 You can sign up for a coupon valid for $5 off your next purchase of $5 or more at Shopko! Your unique coupon code will be sent via email from Shopko@e.shopko.com and will have the subject line “Your coupon is here!”. If you have a store near you, choose in store pick up and snag a freebie!